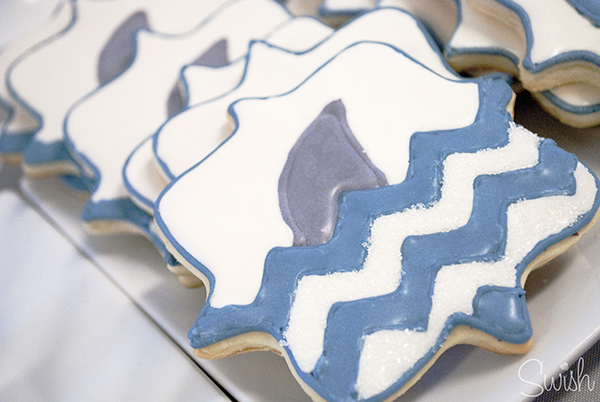 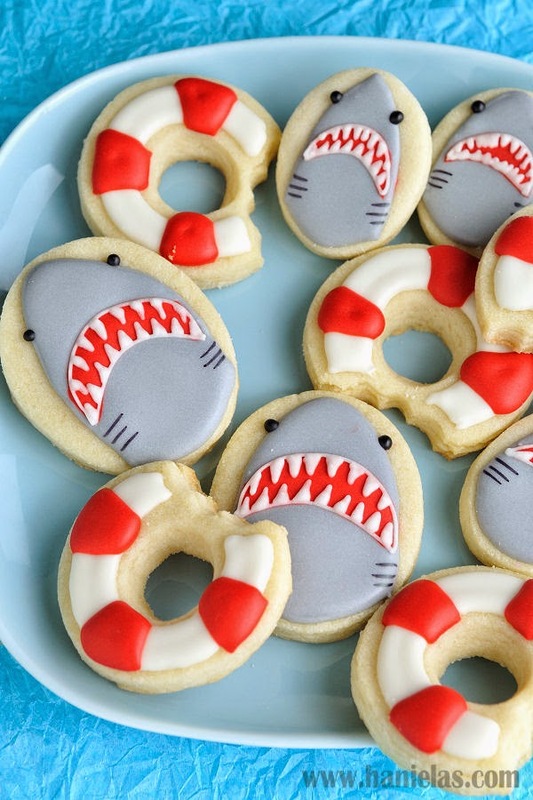 Shark week continues and today is all about our favorite, cookies! 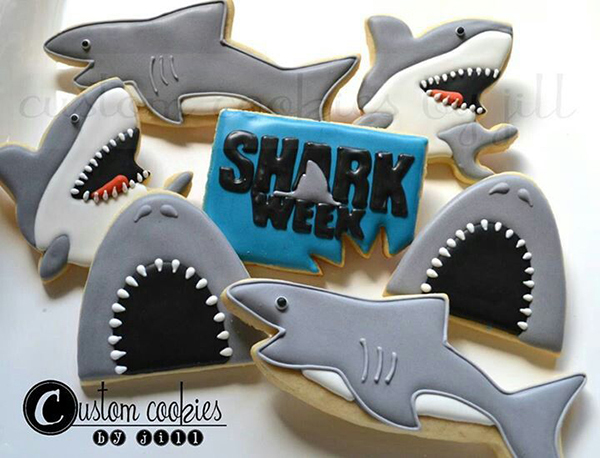 You can’t possible have shark week without some lovely cookies! 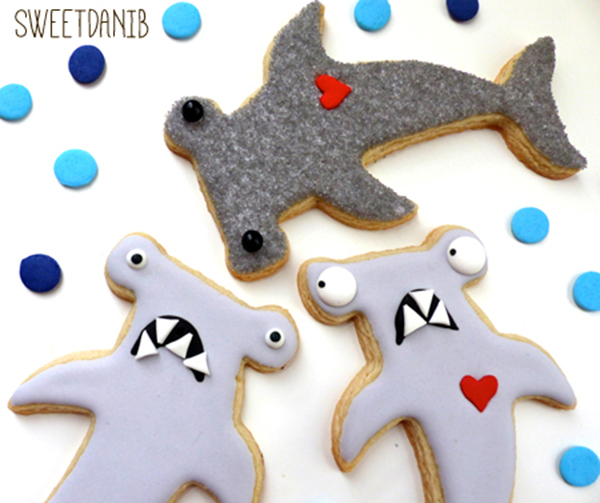 And these shark cookies are totally knocking our socks off! 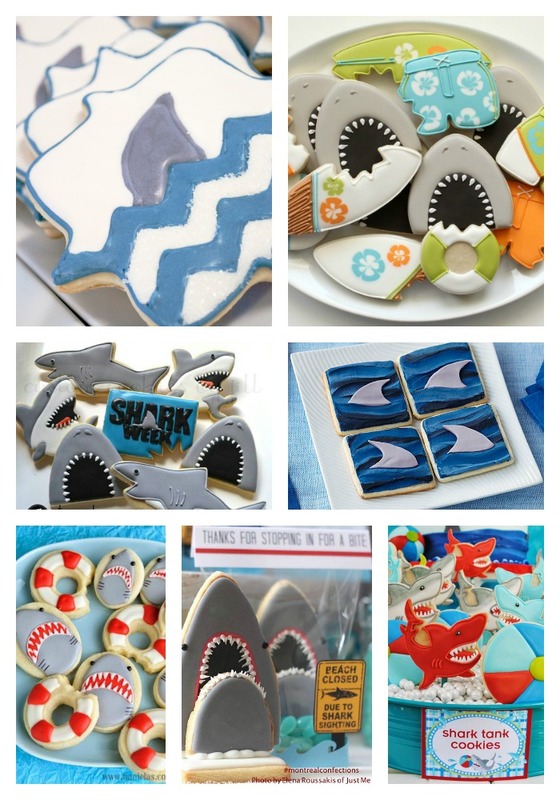 There are so many different fun and creative shark cookie collections made by some seriously lovely bakers. 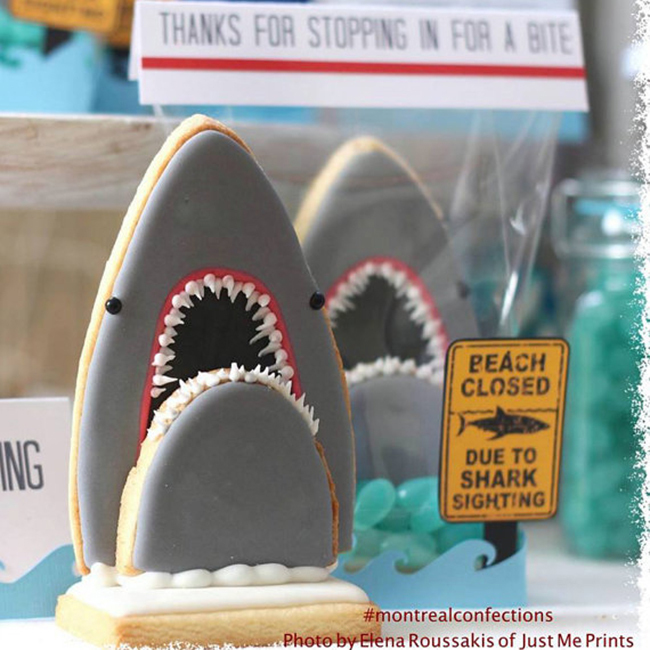 We love the shark fin ones because there is something so erie about shark fins, but the jaws ones totally have us smitten! 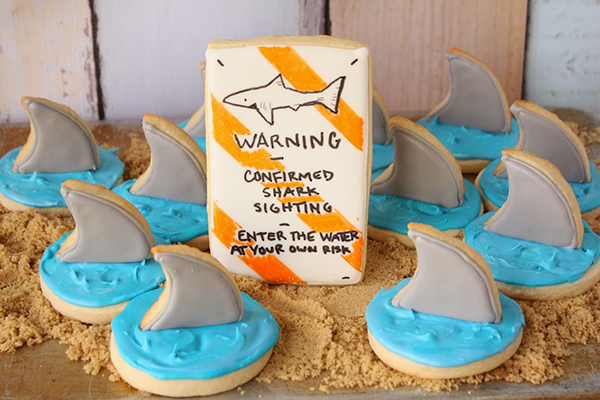 Just wait until you see the cookies with the shark jaws coming out of the water or the ones biting shorts and surf boards. 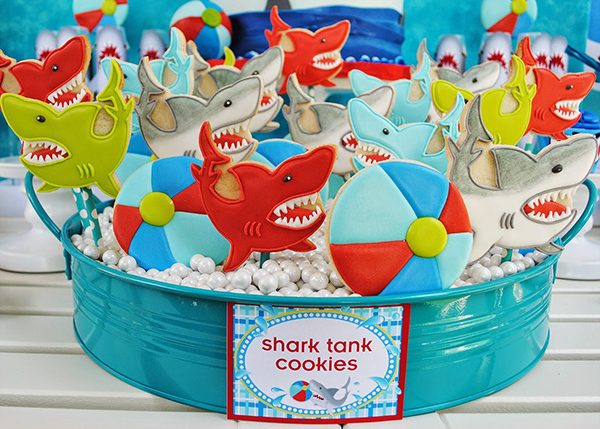 There are also some that have the cutest smiling faces and some that are just silly in general. 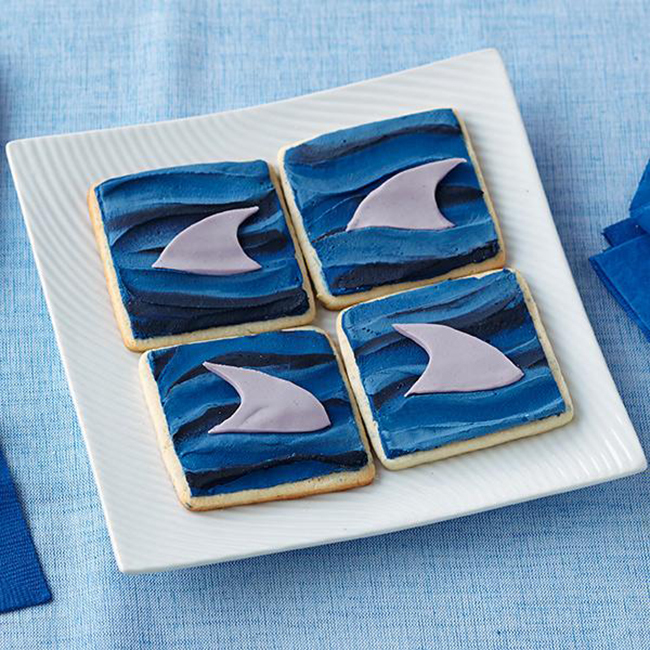 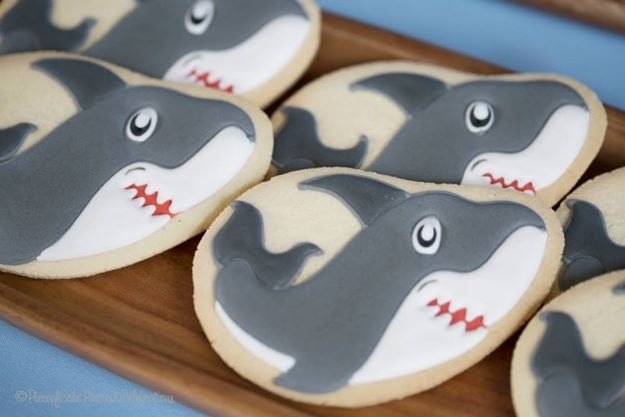 Basically these cookies are totally gnarly and adorable and FULL of ideas and inspirations for your shark parties. 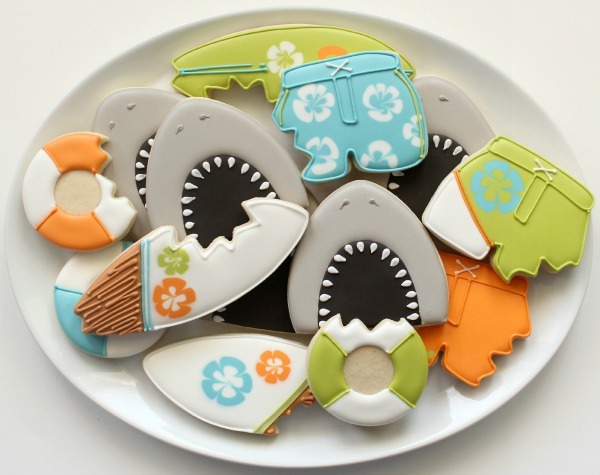 Come check out this shark cookie eye candy!